Federal Reserve: Glaring Failure or Complicity?. 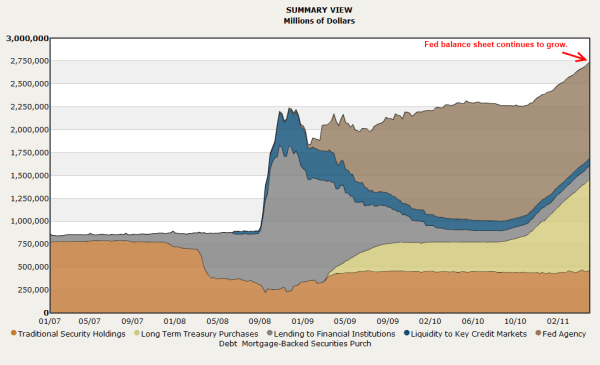 The Fed started paying 0.25% interest on these funds and as the chart above shows, banks are happier to stuff this money away at 0.25% instead of lending it to the cash strapped American public. By definition this is money that can be lent out in terms of loans. Yet theAmerican middle class is struggling to get by so banks with more stringent lending requirements are simply hoarding or investing bailout funds that were targeted for working and middle class Americans. It is no coincidence that during this time excess reserves went from $1 billion in 2008 to over $1.4 trillion where they stand today. 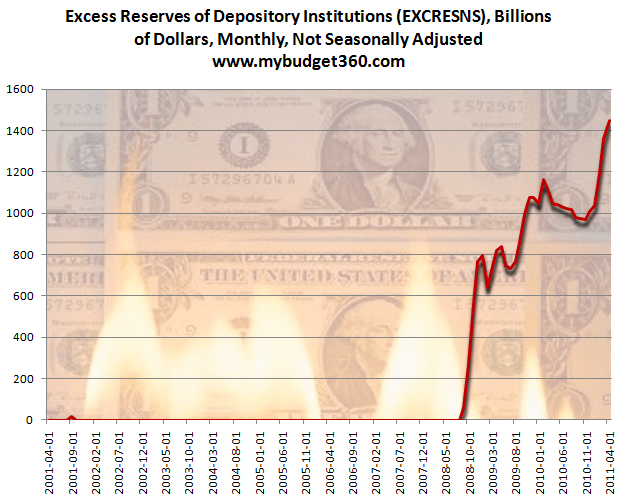 Banks are holding the equivalent of 10 percent of U.S. GDP in excess reserves! Over 19 percent of Americans are still underemployed. This is all happening while the economy is supposedly recovering. We are simply witnessing the ultimate bubble of theFederal Reserve and that is to steal from the taxpayer directly. Nothing can be easier than robbing the American taxpayer through a crushing realignment of the American middle class and blaming it on the global economy. That is, unless you are a large Wall Street bank connected to the Fed and then all you need to do is created some fancy alphabet labeled “program” and dump your toxic loans into it like loading paper into a shredder. The Federal Reserve’s elaborate financial charade on the American people – Big banks hold excess reserves that represent 10 percent of U.S. GDP. Federal Reserve has failed on largest goals for our economy..